On Dec. 22, the Department of Homeland Security alerted state officials in Illinois and Missouri that their exemptions to a federal identification standard will end. In practice, this means that driver’s licenses from those states wont be valid to pass through security at various federally operated or regulated facilities—such as nuclear power plants, federal buildings, and courthouses—beginning on Jan. 10, 2016. Does that mean that holders of those documents can’t use them to proceed through airport security checks? Absolutely not. 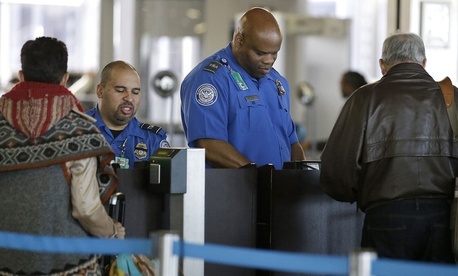 While, the Department of Homeland Security is supposed to eventuallyrequire that the TSA agents manning airport checkpoints only accept IDs that meet the federal standard, known as Real ID, the date of implementing that requirement is yet to be determined. DHS says on its website that it “will ensure the public has ample advanced notice” before changing the requirements for airport security identification requirements. Regardless, you don’t actually need a driver’s license or any identification to fly domestically in the US. The TSA has procedures in place to accommodate people who don’t have proper ID, and doesn’t require it from anyone younger than 18. Readers of the travel blog The Points Guy have highlighted all sorts of alternative documents they have used to transit a TSA checkpoint in lieu of an ID. Gizmodo has detailed the process in full. Of course, having approved identification makes airport security significantly faster and more convenient. The number of Americans who have driver’s licenses from states that are not compliant with Real ID rules is huge. Only 22 states and Washington DC are certified compliant with the Real ID requirements according to the Department of Homeland Security website. Currently 27 states have Real ID exemptions, and Minnesota is considered noncompliant. Those 28 states had 134.4 million drivers in 2013 accounting for 63% of all US drivers according to the US Department of Transportation’s most recently published figures.